“Wedding” is a rite between two souls who vow to love one another for the rest of their lives. For all couples who want to get married, they should be ready for the next step in life and be prepared in all aspects – mental, physical, emotional, spiritual and financial. Deciding on a wedding and its preparation can be lots of fun and exciting. There are many things to keep in mind. Planning a wedding reception is a meticulous task and will usually consume a lot of effort and time. For a successful reception, all details should be considered carefully and have backup plans in case problems arise. Ideally, upfront time should be spent in research so decisions can be made regarding the reception. Many start working on the planning stage from the day the engagement is announced so there is sufficient time to prepare for this big event. Having a wedding reception in San Diego is a great idea and this locale is considered to be the perfect location and weather that will suit everyone’s liking. It is the Bride’s and Groom’s “Big Day” but it is equally fun and loving for friends and family. Deciding on the reception location is one of the major factors that is initially considered in the planning process. Because more guests attend the reception than the wedding ceremony, the reception location should be wisely chosen and be able to accommodate all possible attendees. 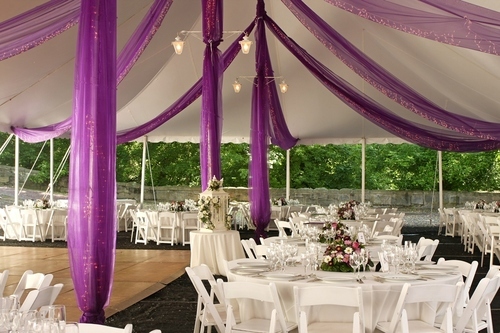 Extensive research and budget play an important part in deciding on the Venue selection. The location should be large enough for all invited and be easily accessible. It would be a tragedy if guests were late because the event site is hard to find or traffic impacts friends and families arrival time. When fantasizing about your perfect wedding, one of the daunting tasks can be determining and setting a budget. Funds needed to make your dreams come true can sometimes fall short and be a stumbling block as well as an “eye opener” to what your budget can include. Establishing a firm budget is one of the vital steps in the planning process, and your financial plan should always be shared with your Event Manager. A good Event Manager will be able to evaluate the costs of your requests and compare them against your budget; eliminating all unnecessary items. A seasoned Event Manager will also be able to provide a final and total cost of your reception, making sure the amount is within your budget. Remember, there is no “RIGH” way to plan a wedding reception in San Diego. The Bride and Groom set the tone and direction in the planning process. A Senior Event Planner will know how to guide you through the course of action you will need to take. The planner will need a guest and bridal party seating chart, gate entrance if any to the venue, cake table location and all the extra accessories you want. Last but not least is the menu. Choosing the food is the most important step when planning a wedding reception. One of the fun tasks in this planning process is deciding your menu choices. It’s always best to provide a variety of options for your guests as this will satisfy everyone’s culinary taste and provide alternatives for those with health restrictions. While keeping in mind all of your guests likes and dislikes, staying within your budget, of course, is essential.